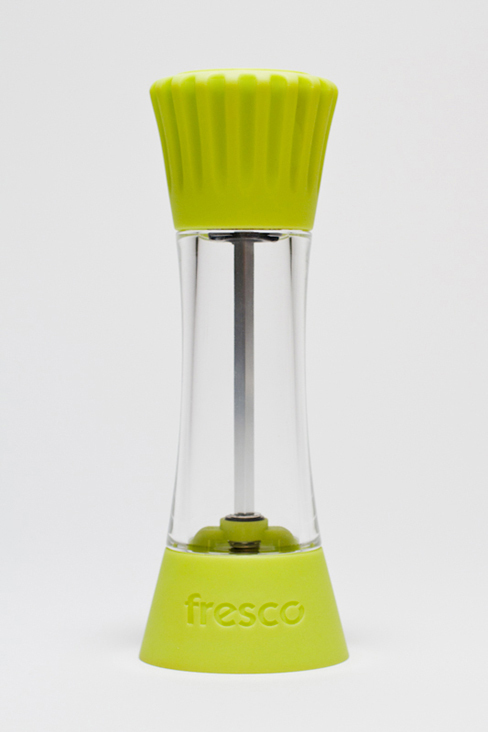 This pepper / salt mill’s profile slopes gently inward, making it easy to hold. The soft touch, ribbed top is easy to turn. The high quality ceramic mechanism is fully adjustable. Sold by Vic Firth in the US. Photo: David Blotner.